I am not saying that all braai's take forever to finally get the meat to the table, but just 95% of all braai's I have ever attended. These tenderised and marinated chicken fillets are such a winner on the braai. This rare roast lamb is ridiculously delicious - it can be done as a deboned leg of lamb, butterflied on the braai and then served into pita's as shown above. 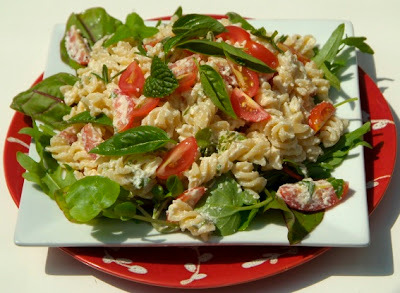 I'm not usually a pasta salad kind of person, but this one ROCKS!!! 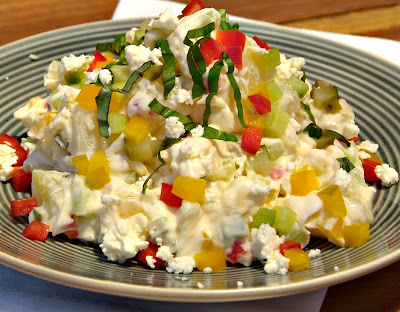 I love ricotta and it's so healthy and filling without the guilty mayo sauce of other pasta salads. Potato salad just belongs to a braai in my opinion, but once you've made mayo yourself then also made a potato salad you will run screaming into the night at the sight of one. This one takes the guilt out of the salad, but not the flavour! 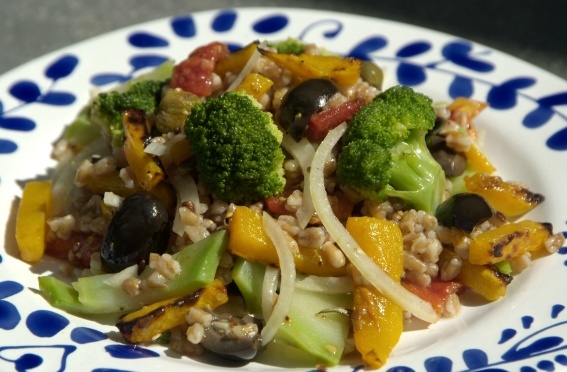 This roasted butternut, broccoli and barley salad is more than just a salad, it is pretty much a meal on a plate, but is also a great side dish and takes care of the veggie and starch elements of your meal all at the same time. Beware though, it's totally addictive. The picture right at the top of this blog is one recipe I have not shared here and it's one of Adam's favorite things on the braai - all the other guests will love it too though. Veggie accompaniments are few and far between at a braai. These veggie parcels are a 100% winner. They can be pre prepared and kept ready to pop around the sides of the braai about 20 minutes before the meal is ready. Choose a selection of your family’s favourite veggies. You can make a separate parcel for the kids choosing the veggies they like and add milder flavourings, while for the adults you can add a wider selection of aromatic flavours. Chop up the veggies (about ½ cm cubes) such as butternut, carrots, bell peppers, mushrooms, tomatoes (not too many as they get very watery), onions, courgettes, sweet corn, sweet potato, spinach and celery are good choices. You can flavour the veggies with a dash of oil, a few cubes of butter, salt, pepper, chopped garlic, chopped chilli, chopped fresh ginger, fresh herbs, basil pesto, chutney, crumbled feta and such things. Make the foil parcels from a sheet about 40cm–50cm of foil (use a double layer of tin foil to protect the parcels from burning). 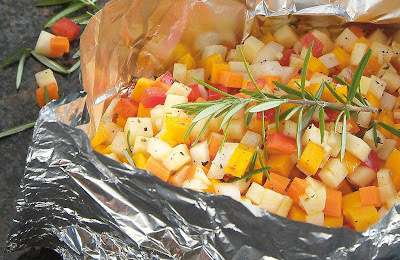 Place the veggies and your choice of flavourants in the center of the foil and seal the sides and the top so that the juices will not escape. Set aside until ready for use. Place the parcels around the sides of the fire. Turn the parcels every 5 minutes or so. They should be ready in about 15–20 minutes. so sad...the one braai we had together was definitely one of the 95%....wow, i was hungry!! You make braaing fun even for those wouldn't usually enjoy them, including vegetarians like myself! oh yes! i remember those little Veggie Parcels! could also throw a little fillet of fish in there with some white wine too!